Apex Legends has taken the gaming world by storm as a fresh entry to the Battle Royale genre, currently dominated by Fortnite. While fans had a long wait for Fortnite cosplay their prayers were soon answered by Spirit Halloween. However, gamers may have to wait before Apex Legends cosplay becomes commercially available. However, DIY cosplay costumes have always been an essential for the hobby – with many characters unavailable commercially and mass-produced costumes often lacking the quality and accuracy of handmade cosplay. 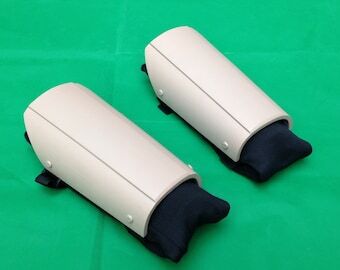 One maker had this exact problem and now makes “off the shelf” cosplay armour as a base for a whole range of personas. It was by sheer coincidence that he called the armour “Apex” long before Apex Legends was released – but now his designs seem perfect for the battle royale’s skins. “What this lead to was me having to charge a very high price for a product I wasn’t entirely happy with. The fact that most of the armour I made was a one-off meant I wasn’t able to refine the design and improve what I was making. 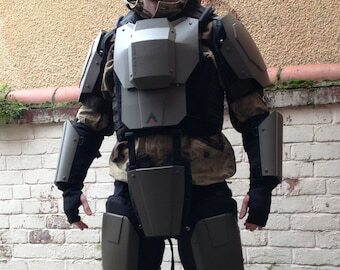 A few months later I had made the first mk1 prototype, It wasn’t pretty but it worked, I was able to draw on experience from my military career as well as my knowledge of medieval armour to make a suit that functioned well and looked the part.